Gov. Peter Shumlin's top legislative lobbyist is heading to greener — and bluer — pastures. The governor announced on Monday that Louis Porter, his secretary of civil and military affairs, will succeed Patrick Berry in May as commissioner of the Department of Fish and Wildlife. Berry is leaving the department to become vice president for philanthropy at the Vermont Community Foundation. "Louis Porter's devotion to Vermont's tradition of hunting and fishing, and to making sure there is continued access to land and water for those that follow that tradition, will serve the department well," Shumlin said in a written statement. 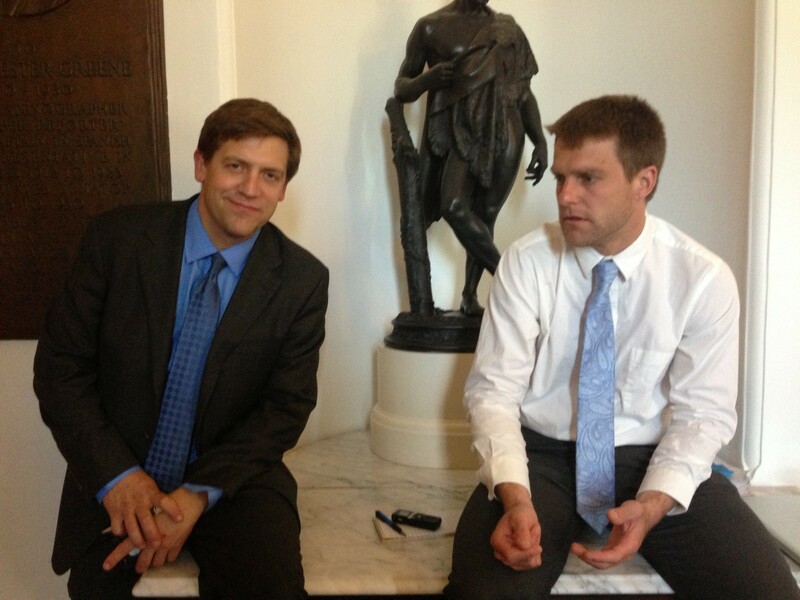 Since December 2012, Porter has served as the governor's chief liaison to members of the Vermont House and Senate. A constant presence in the Statehouse, he's charged with keeping the governor's legislative agenda on track, tending to legislators' needs and putting out fires. Porter is the second staffer to cycle through the position during Shumlin's three years and three months in office. He replaced longtime Shumlin aide and former campaign manager Alex MacLean after the governor's first reelection. Spokeswoman Sue Allen said Thursday that the governor does not expect to name Porter's replacement until the legislative session ends in May. A former reporter and chief of the Vermont Press Bureau, Porter joined the Shumlin administration after a stint as Lakekeeper for the Conservation Law Foundation. "Obviously, I am honored to be given the chance to work with the department staff on their important mission, one I care deeply about," Porter said. "For now, I am concentrating on finishing the legislative session, and Pat still has several weeks on the job." Berry, who previously served as director of governmental affairs at Vermont Law School and as legislative director at the Vermont Natural Resources Council, called his new gig "a really good opportunity for me doing something I love." It's also much closer to his East Middlebury home. Berry said he's most proud of "fortifying" the department's budget, filling its vacancies and "creating really solid relationships and partnerships with all the constituencies." "The department's in really good shape, which is not how I found it," he said. Asked if he had any advice for Porter, Berry said, "Recognize that you have tremendous expertise on hand from some of the most committed employees in state government — and to trust them to do their jobs, because they do them well."